When I first downloaded the BMW EVolve app last week, I thought it was just a cute exercise in alleviating electric vehicle range anxiety. The app uses the phone’s built-in GPS sensors to track your driving habits and routes — how far you drive, how fast you go, etc. Think of it as pre-conditioning for the eventual electrification of the automobile and as a cheerleader for BMW’s i-Series (i3) electric MegaCity Vehicle (MCV) that won’t be here until 2013. 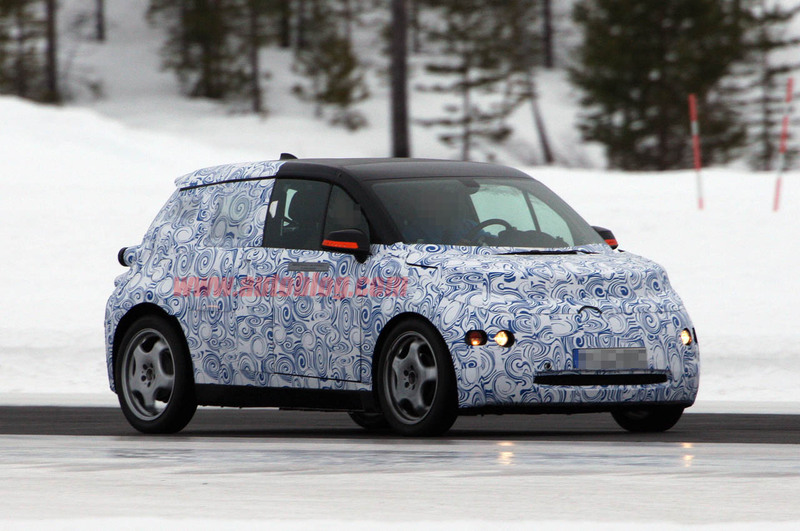 BMW i3 prototype caught in winter tests. Photos courtesy of AutoBlog.com. 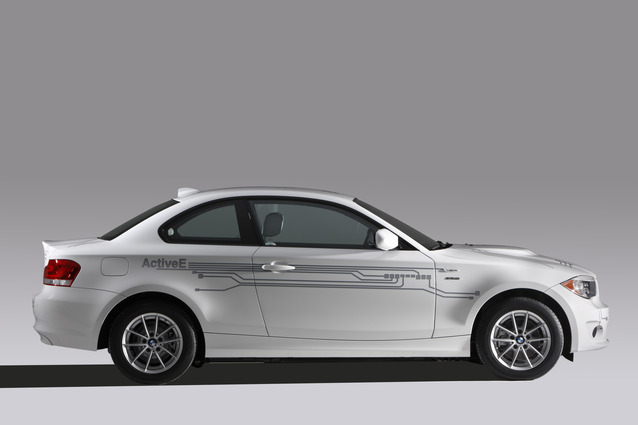 However, in reality, the app was the drum roll before BMW’s Earth Day 2011 introduction its first EV to bear its own corporate logo: The ActiveE. The EVolve app has a countdown battery gauge that starts with 100 miles, the claimed full-charge range of the upcoming ActiveE, an electrified 1-Series Coupé, that will be available for lease sometime later this year. The MINI E was BMW’s warm up act. Think of it as a rolling EV lab that uses humans as test drivers to better understand how batteries and electric drivetrains behave in “real world” driving conditions. It was an expensive little car ($50,700 – but I think that’s a fantasy low-ball number picked out of thin air by BMW Financial Services) that gave early adopters a chance at driving a real EV. Unfortunately, the MINI E was compromised with a large, heavy battery pack that took the place of the back seat. Worse, that battery tended to under-perform in the cold and overheat in the hot So Cal summers. MINI E drivers were asked to pay a whopping $850+ tax per month ($932.87 in 9.75% LA County) plus the cost of installing a charger. The lease included comprehensive and collision coverage; but not liability insurance. There was grumbling in the MINI universe from “average Joe” drivers asked to pay that stiff $850+ tax/month while BMW offered the same car to various municipalities and non-profits for $10 (yes, ten dollars) a month. Ouch. The MINI E was originally leased for one year starting in 2009; however, BMW has “generously” allowed MINI E lessees a chance to extend their lease another year (2010 to 2011) and now, to keep their car until the ActiveE comes to market later this year. 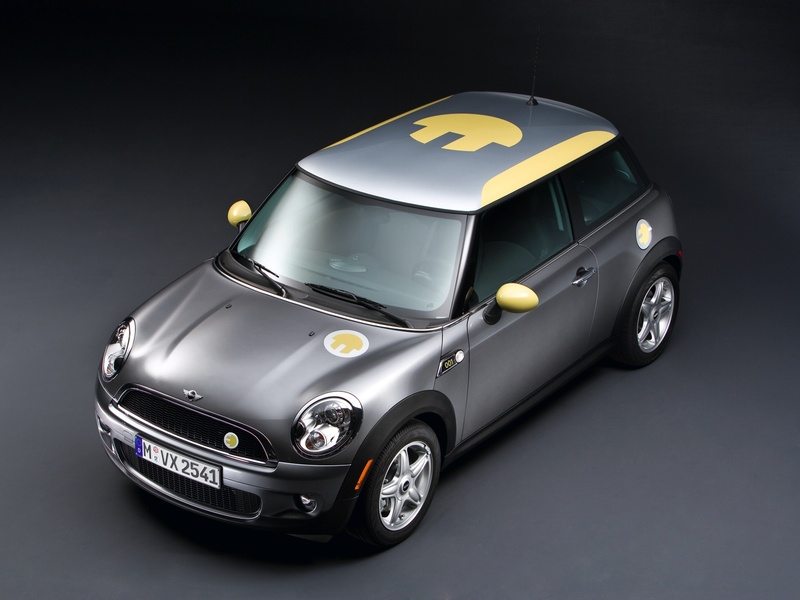 MINI E lease holders will get first dibs on an new ActiveE later this year. Of course, they still have to keep making those egregious lease payments. I’m not sure who benefited most from the past two years of the MINI E experiment. MINI E lessees drank the Kool Aid and can’t say a bad thing about the car; however, I was specifically warned not to enter the trial because there were so many annoying problems with the car. I’m inclined to believe my BMW insiders on this point. 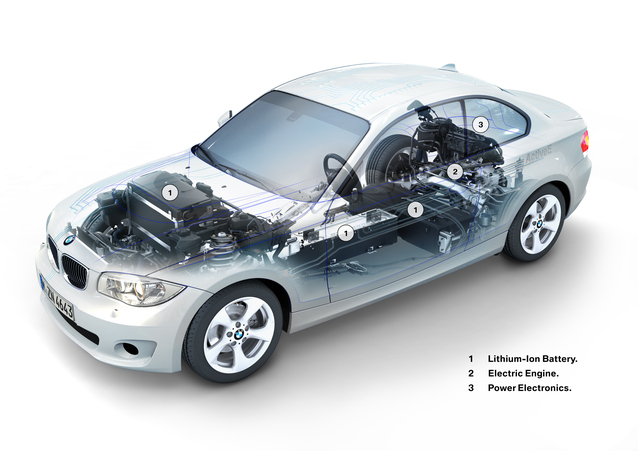 That leaves the BMW engineers as the major benefactors. The past two years must have produced mountains of valuable information and feedback that will make the new ActiveE a much more competent and useful EV. Not since the M1 of more than 30 years ago has a BMW had a rear-mid-ship mounted power plant. The ActiveE’s, power electronics, electric motor and rear axle all form a complete unit. This is the same configuration BMW will use in the upcoming i3 MCV. The all-new liquid cooled lithium-ion battery back runs through the spine of the chassis and includes modules under the hood helping the ActiveE hit the magic 50/50 front/rear weight distribution ratio – a hallmark of the BMW brand. BMW’s ActiveE drivers will be offered a much more affordable and realistic 24 month lease for $499/month with $2,250 down. With tax and amortizing the up-front payment, the monthly cost pencils out to $650.54. The insurance arrangement should be the same as the MINI E, but no one has seen the actual lease yet. At one third less than the MINI E lease payment, you get a car fully capable of living up to BMW’s “Ultimate Driving Machine” tag-line. As a bonus, you even get a two rear seats and a small trunk! 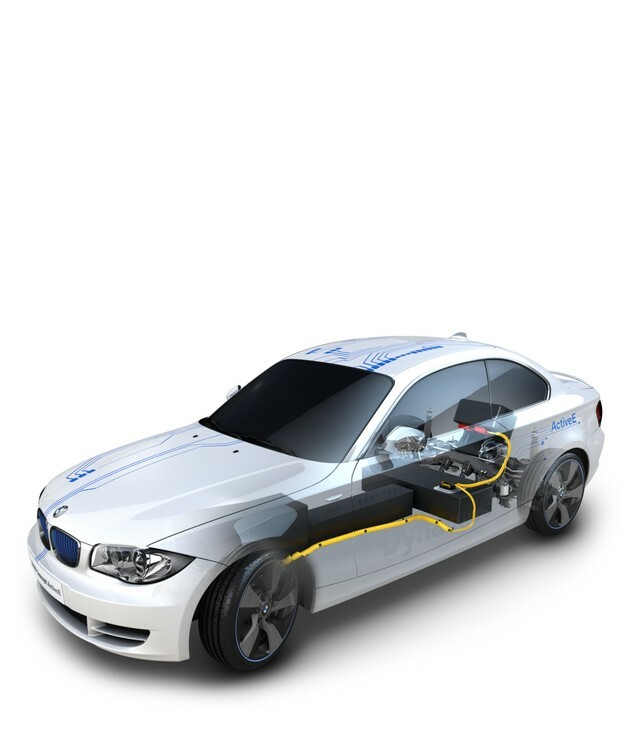 BMW Group engineers developed everything that constitutes the ActiveE: the energy storage module, its wiring, the permanent magnet synchronous electric motor, the power electronics and the transmission. If you want to control the quality of the product, keep it in-house. BMW says the ActiveE has maximum power output from the electric drive system of 170 hp with 184 lb-ft torque, available from a standstill, as is the case with all electric vehicles. 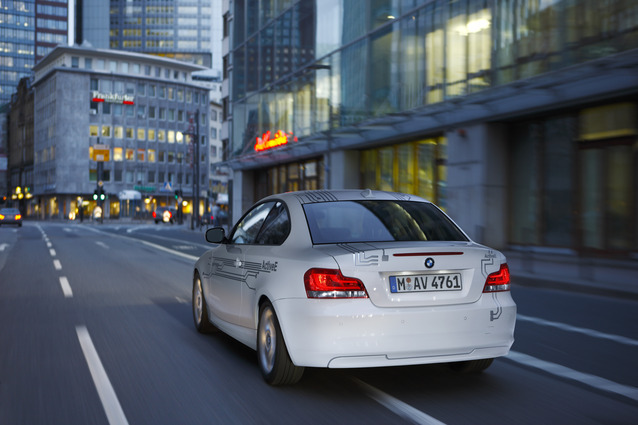 BMW pegs the ActiveE’s 0-60 mph time at under 9 seconds with an electronically-limited top speed of 90 mph. I’ve been testing the new BMW EVolve app on my iPhone. In general, there is almost no time that I could exhaust the 100 mile range in my normal daily struggle through our gridlocked, pot-holed streets. However, I failed the EV test when I drove to Palm Springs over Easter weekend. 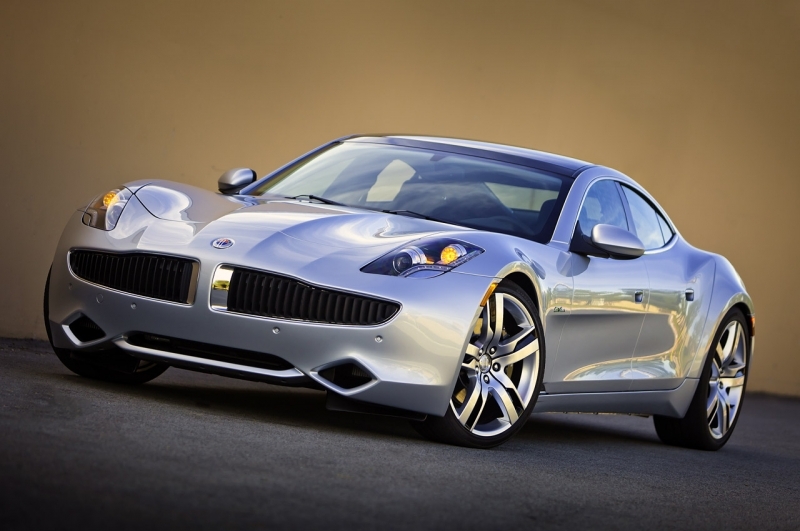 Yup, to get out of LA – any destination outside a 45 mile radius from my home – I’d need a “weekend car” or an extended Range EV like the Chevy Volt (MSRP $41,000 before federal/state tax credits) or Fisker Karma ($95,900 before federal/state tax credits). BMW is looking for customers interested in the ActiveE. To lease the ActiveE, you have to live in one of the following metro areas: Los Angeles, San Francisco, San Diego, Sacramento, New York City, Boston and all of Connecticut. 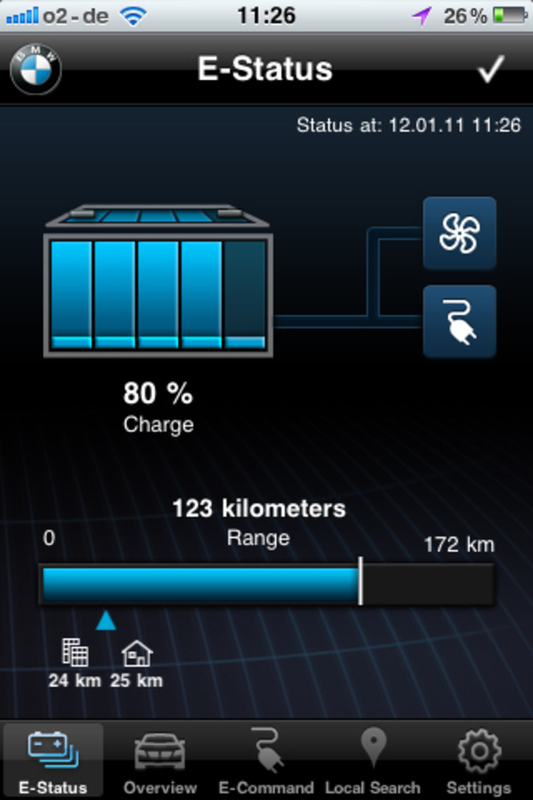 You can explore more about the ActiveE and sign up to be notified when they start the field trials at BMWUSA.com. 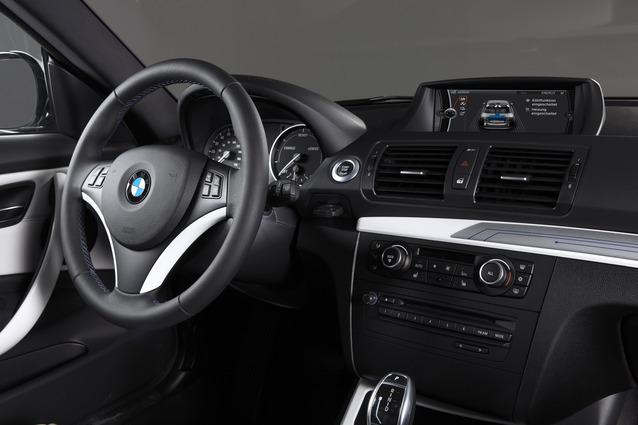 BMW has also developed a slick Apple iPhone app for the ActiveE called ConnectedDrive, similar to those already developed for the Nissan Leaf and Chevy Volt. ConnectedDrive can romotely lock and unlcok the doors, activate the horn or headlights helping you find your car, CarFinder to locate your car within a 3,300 ft radius and Google’s Local Search function. 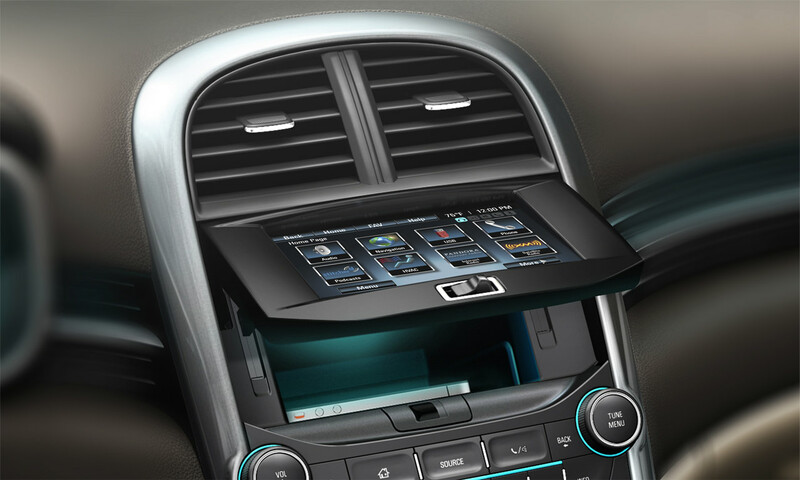 The ActiveE's information and navigation screen will mirror much of what is on the Smartphone app and is internet connected. BMW will test a fleet of 1,000 ActiveE vehicles throughout the US, Europe and China. For the MINI E trials, 450 of the 600 cars landed in the US, so it’s reasonable to expect at least 50% of the ActiveE allocation will come to the US. I’d love to try it, but I’m waiting for my weekend car first. 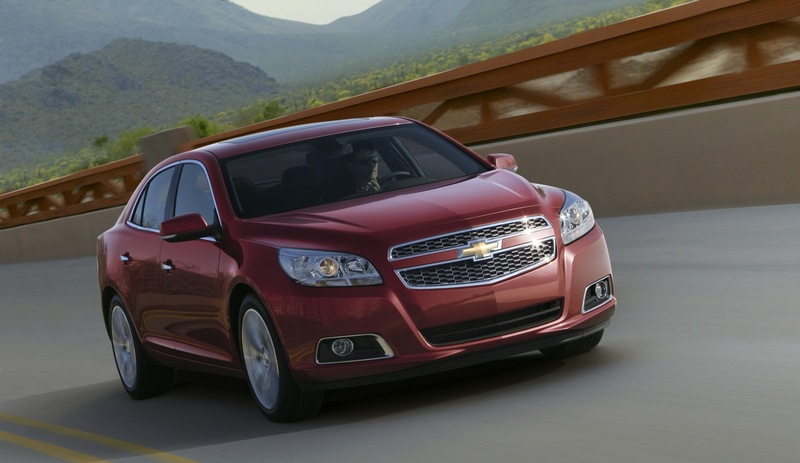 Chevrolet has taken the wraps off the 2013 Malibu and from its initial looks, it appears to be an evolution of the current model. 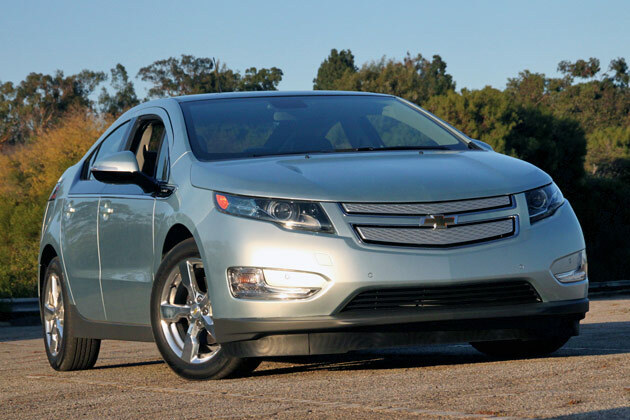 Chevy is pushing up the on-sale date to early 2012 in hopes of getting fresh product into dealers’ showrooms as soon as possible. 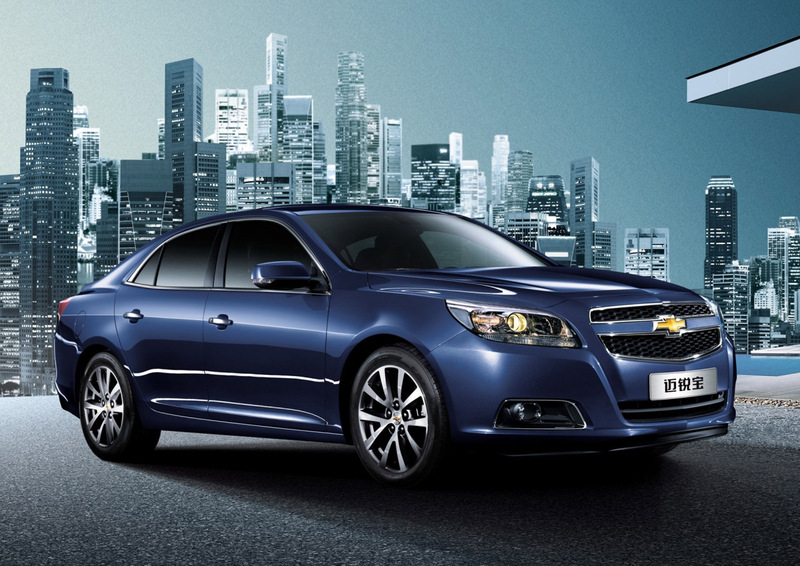 GM wants to keep up the sales momentum at Chevrolet after the success of the Chevy Cruze. The 2013 Malibu finally has a navigation/infotainment screen. It cleverly rotates to reveal storage space for anything from a garage door opener to your iPhone. It can also be tilted to get rid of that nasty glare that sometimes make the screen hard to read. 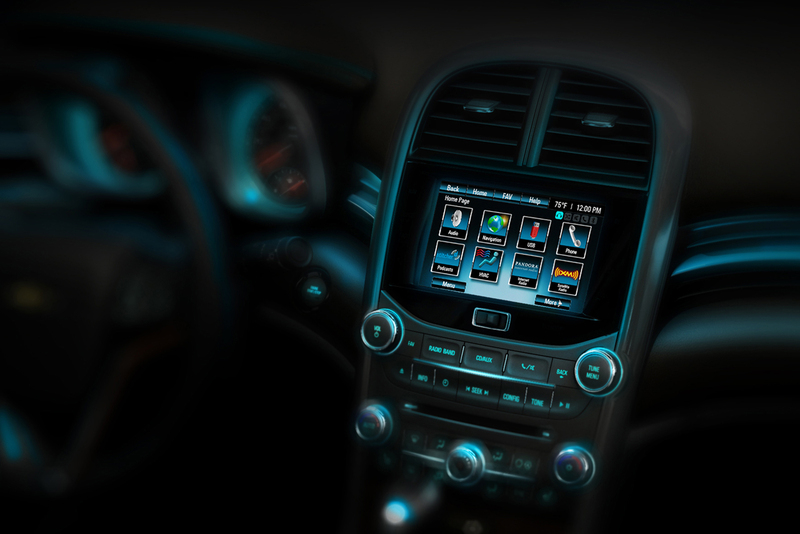 For a “fresh” design, the screen looks too small; however, the user interface bears more than a passing similarity to an iPad (a good thing), with various infotainment control “apps” as well as the first use of internet-connected apps in a GM product. For the example, the screen shows the Pandora app – the hot start-up internet radio company that allows you to create your own “radio station” based on your musical tastes. 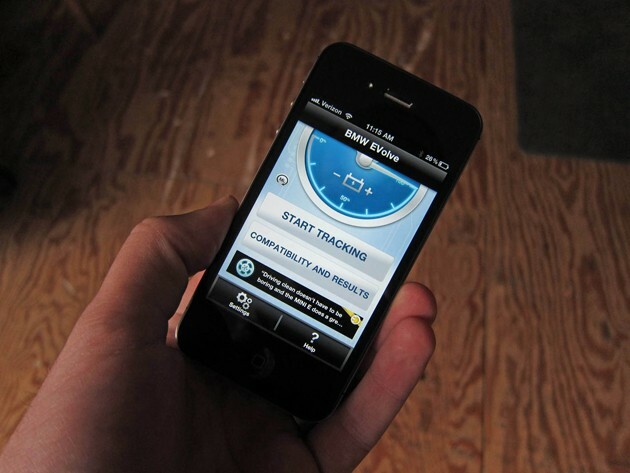 Chevy has a new service called MyLink that will allow internet-based apps to run in the car. They don’t say how much the monthly MyLink subscription service will be or whether you have the option to use the internet connection on your smart phone. I’m guessing you have to pay GM or GM’s subsidiary, OnStar, for the service. The “dual-cockpit” dash format carries over from the current Malibu in a nod to cars like the 1963 Corvette. The new center stack looks clean and easy to use. I like the large round knobs that should be easy to find, even in the dark. The exterior, with the exception of the taillights, looks pretty generic Chevrolet. You could easily mistake the nose for the Chevy Cruze. The Press Release (below) details the upgraded chassis, aerodynamics and drivetrain. On select models in the US, the same electronically controlled and integrated active aero shutters used on the 2011 Cruze Eco, will be available. The only problem is that the Eco package is only available with lesser trim levels. So if you want the nice stuff shown in the pictures with the high trim LTZ, you won’t be able to option it with the Eco package. Ugh. Overall, I see improvement, if not a quantum leap over the outgoing Malibu. My pulse remains at a resting rate. 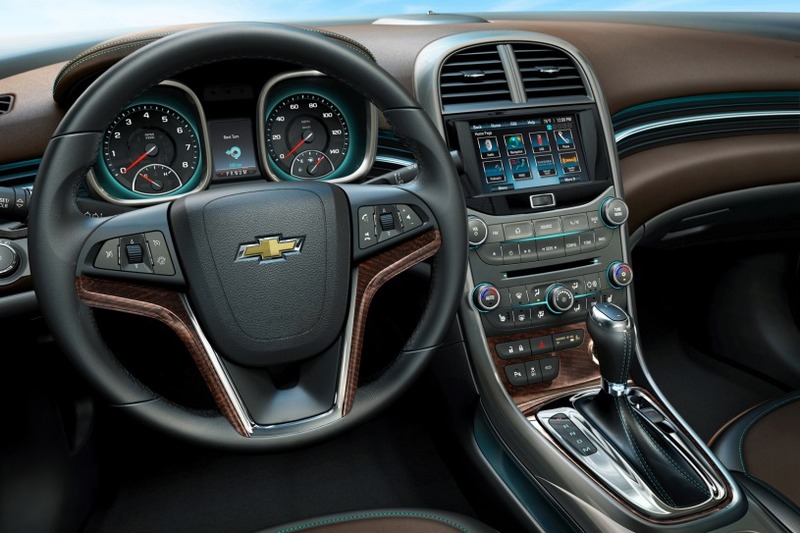 Malibu will include Chevrolet’s newMyLink infotainment package at launch. It builds on the safety and security of OnStar and seamlessly integrates online services like Pandora® internet radio and Stitcher SmartRadio®. MyLink integrates wireless connectivity through Bluetooth to enable hands-free use of selected smart phone apps while the device remains safely stowed. 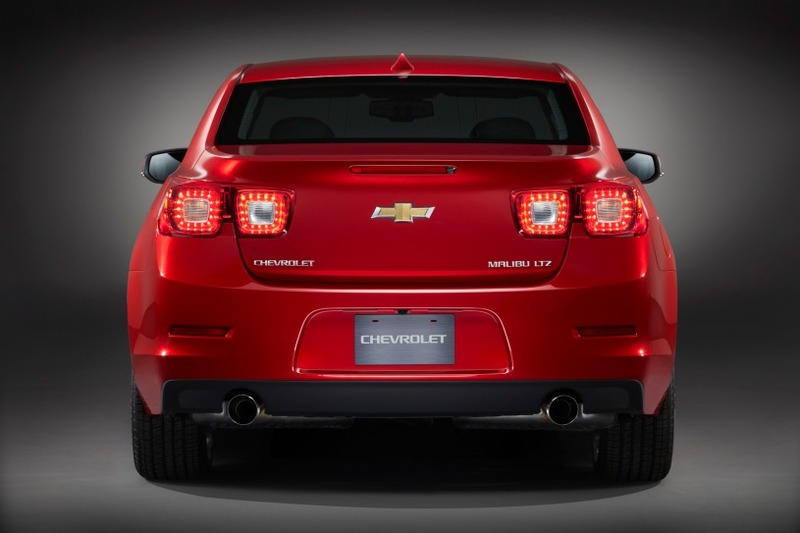 Rear view of the 2013 Malibu LTZ. When the brake lights arent on, it looks pretty generic. A detailed image of the Malibus taillights. Its kind of Camaro, kind of Corvette, but its a good Chevy family styling cue. 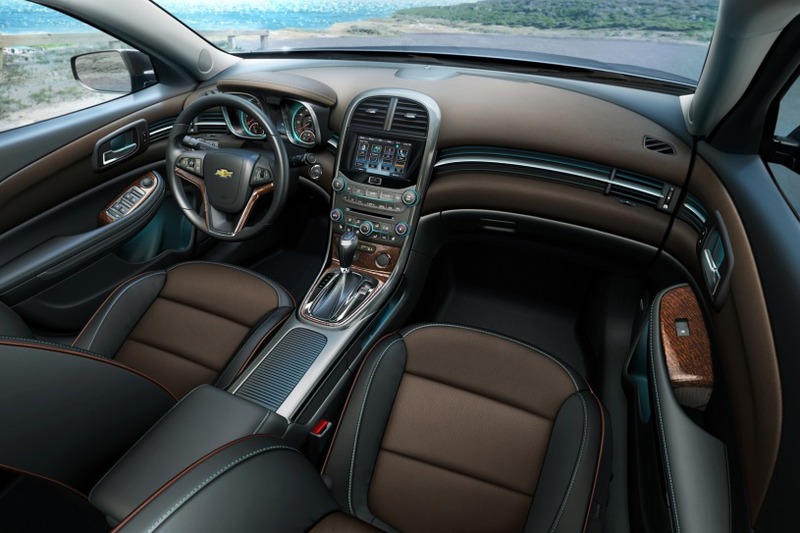 As with the exterior, the interior is an evolution from the current Malibu. It does look nice in the picture, particularly in this top-level trim. Im afraid to closely inspect the fake wood inserts. The 2013 Malibus instrument panel looks good. The trick flip infotainment and navigation screen. The iPod/iPhone connection points are behind the screen, so you can store (and hopefully charge) your devices behind the screen without lots of cords hanging out. The interior lights up nicely at night with mostly ice-blue backlights. That makes it easier to use when you pick up your rental Malibu at night in a strange city. Below is the Malibu’s first promotional video from Chevrolet. The music sure is dramatic and grandiose. The new Malibu now looks more handsome, more modern and fresher than its aging, generic Toyota Camry and Honda Accord rivals. However, new versions of both the Camry and Accord will probably be here by the end of 2012, which should give the Malibu some heavy competition. 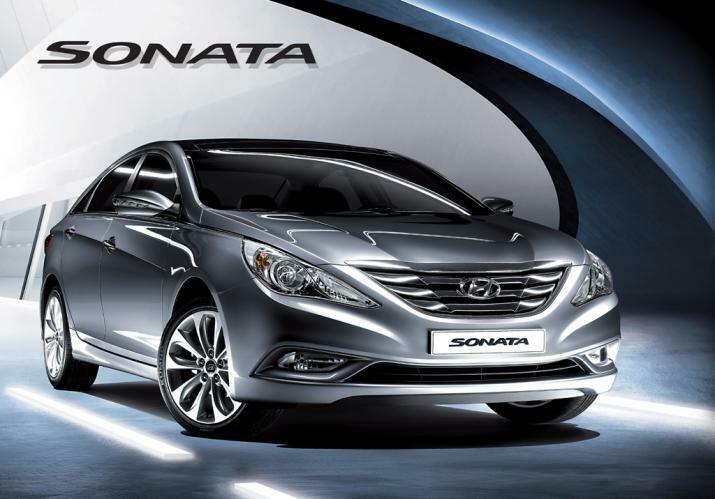 Does it look more modern or fresher than the recently redesigned Hyundai Sonata? I don’t know, that’s in the eye of the beholder; but right now, Hyundai has a big sail and the winds are blowing in its direction. 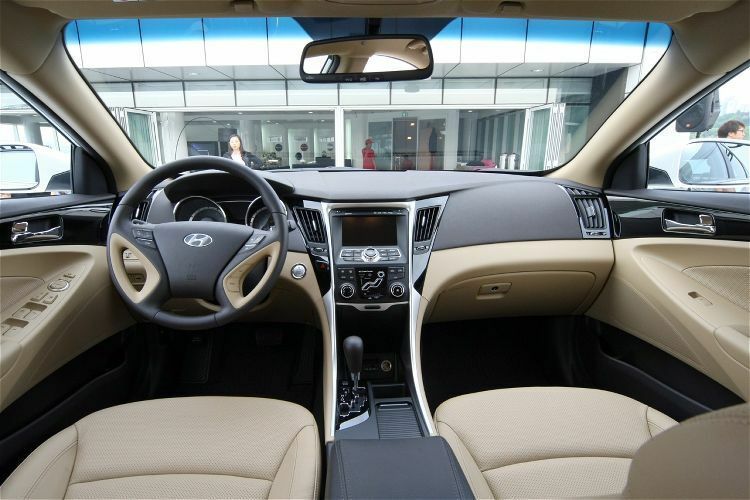 2011 Hyundai Sonata Interior - Its an appealing place to spend time, so is the 2013 Malibu better? In my brain, I have that intractable image of boring Chevrolet appliances from the last three decades, so it’s hard for me to put one in my garage – unless it’s for the two days my car is in the shop. Would you consider buying one or just be content to rent one on your next business trip?